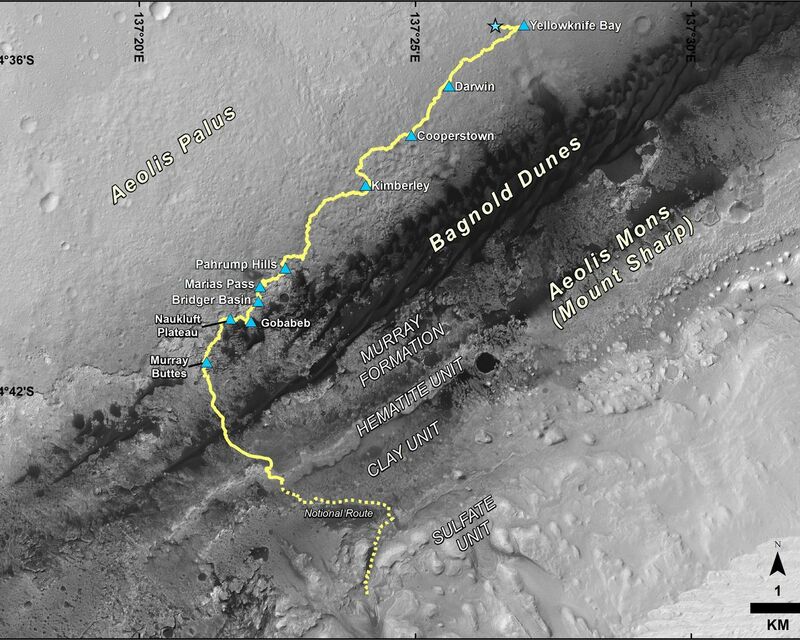 This map shows the route driven by NASA's Curiosity Mars rover from the location where it landed in August 2012 to its location in September 2016 at "Murray Buttes," and the path planned for reaching destinations at "Hematite Unit" and "Clay Unit" on lower Mount Sharp. 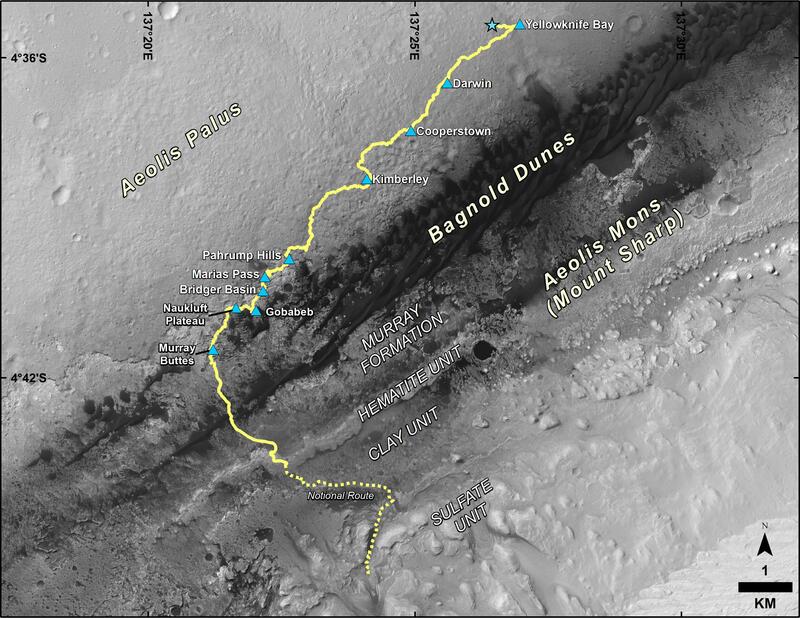 Blue triangles mark waypoints investigated by Curiosity during the rover's two-year prime mission and first two-year extended mission. 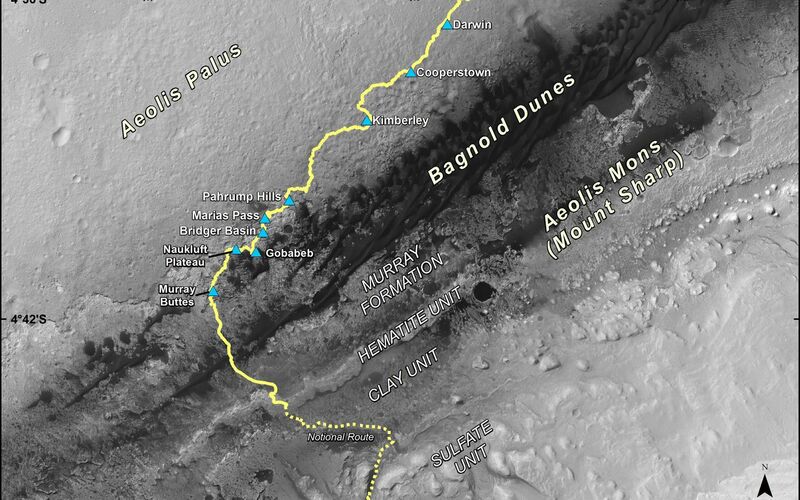 The Hematite Unit and Clay Unit are key destinations for the second two-year extension, through September 2018. The scale bar at lower right represents one kilometer (0.62 mile). 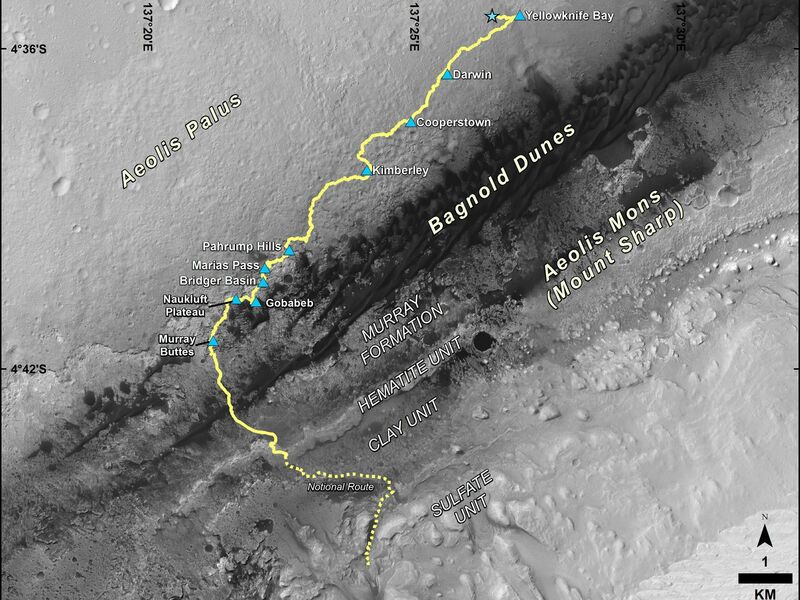 For broader-context images of the area, see PIA17355, PIA16064 and PIA16058.